Streams and rivers up to (10 meters, 30 feet). Salmon fishing two hands rods (reinforced tips). Very thin short taper for delicate presentation. 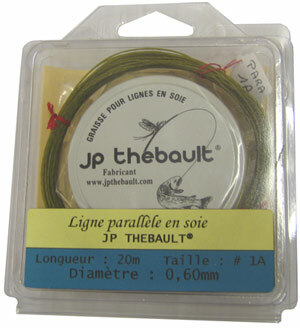 For distance casting even on windy days with good landing of fly. One hand rod salmon and salwater fishing (reinforced tips). Economical, for short distances and fast waters. Shooting head for long casts. Note : All silk lines are intermediate lines. Without grease they sink slowly.